The lost art of phone repair and restorations is alive and well at The Western Electric Store, where they have been dedicated to recycling long before it became a social concern. Retro is back! These phones were designed to last because the phone company had to service them. Remember the Princess phones of the 60s? How about the old finger wheels? An extensive library of vintage parts allows us to handle most repairs. If we don’t have it, we’ll find it! 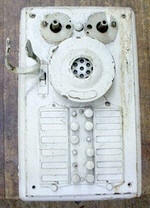 Old telephones were made to last. 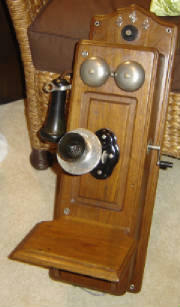 In the early days, most telephone equipment was owned by the telephone company. As a result, they tended to design and manufacture products that would stand the test of time and that could be easily refurbished and redeployed as required. Even though these phones were manufactured many decades ago, they usually will still work as well today as when they originally came from the factory. Although the variety of phones that were available from the phone monopolies was extremely limited, the designs were timeless classics. 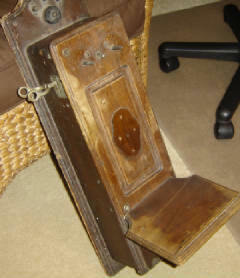 From the wood wall phones and candlestick models from the early 1900's, to the integrated desk phones of the 30's and 40's, the ageless beauty and ongoing functionality of these devices is unmatched by any comparable products available today. Most of the telephones that The Western Electric Store sell or restore have been fully refurbished, as authentic as possible, using a process that may include rewiring, repainting, polishing, and parts replacement. The phones have either been electrically upgraded to modern standards, or have been returned to factory original design. If you have a phone that you would like restored to working order, please call or email for more information. Trouble hearing on your phone? Numbers too small to read? Copyright ©MDCCCXCIV-MMXV Phones 'N Things, All rights reserved. The Porticus and Beatrice logos are trademarks of Beatrice Companies, Inc., and licensed to Phones 'N Things, Roseville, MN 55113.